'I just want to say that I'm totally glad to be back in the race,' North Carolina MC says in a 'Talladega Nights'-inspired statement to MTV News. 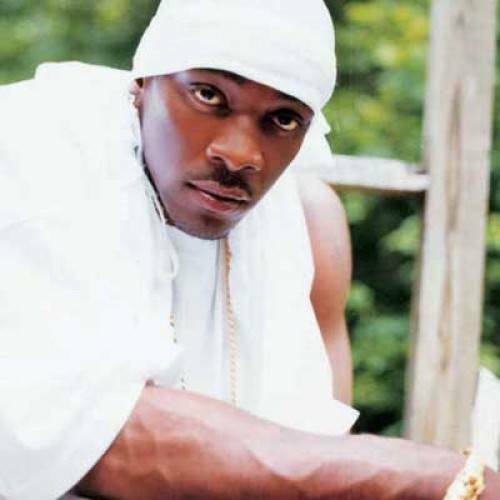 Petey Pablo was only released from prison on March 13, but the "Freek-A-Leek" rapper already has plans to take over the rap game. With the drama stemming from his 2010 gun charge behind him — the North Carolina MC served time on a 35-month sentence in federal prison. Petey is so pumped to win that he's taking cues from Will Ferrell's Ricky Bobby, the fictional race car driver who stops at nothing to get to the #1 spot. "I just want to say that I'm totally glad to be back in the race and behind the wheel of a car that has been fine-tuned for the greatest performance," Pablo (born Moses Barrett) said in a press release issued to MTV News after his release from FCI Fort Dix in New Jersey this morning. Back in 2001, Pablo scored a breakout hit with the Timbaland-produced "Raise Up," and now he plans to go back into the studio with his old friend ... for some "Talladega Nights"-themed work. "I'm now headed to the work shop," Pablo continued in the statement, "to begin what will be noted as my best work ever with one of the greatest producers of all time. My Brother, my friend, my partner for life: mega producer Timbaland, the King!" Petey was arrested on September 11, 2010, when security at Raleigh-Durham International Airport found a Smith & Wesson 639 in his carry-on luggage. Though the rapper claimed he didn't know the gun was in his bag, he was charged with possession of a stolen firearm, carrying a concealed weapon and attempting to take a gun onto an aircraft.